SSA NEW BADGES LAUNCH v EXETER ! 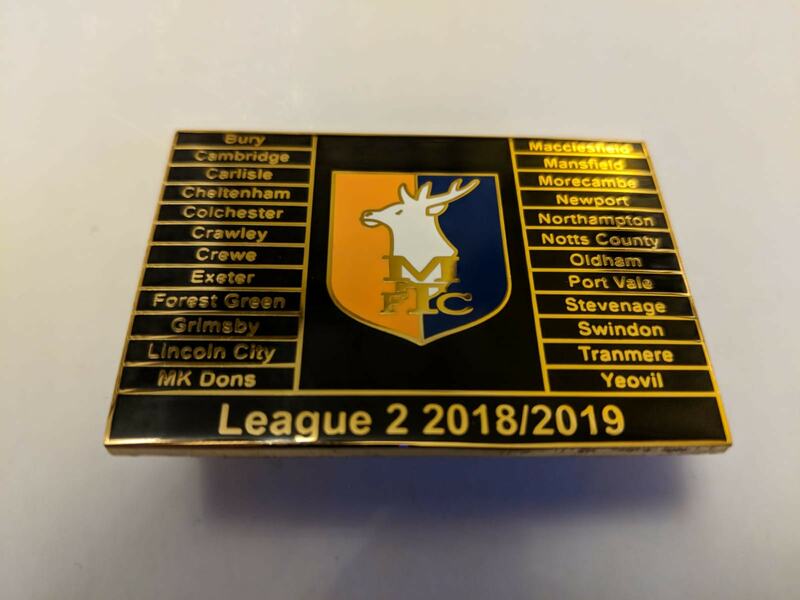 SSA are very proud to launch the Season 18/19 'SSA Collection' which is comprised of 15 brand new Stags related unique collectable pin badges to celebrate Season 18/19! The first two badges of the new batch will be released pre match v Exeter and will be available from SSA in and around the Sandy Pate Sports Bar priced at just £3 a badge. The first design is a smart and sleek full Season 18/19 pin badge. 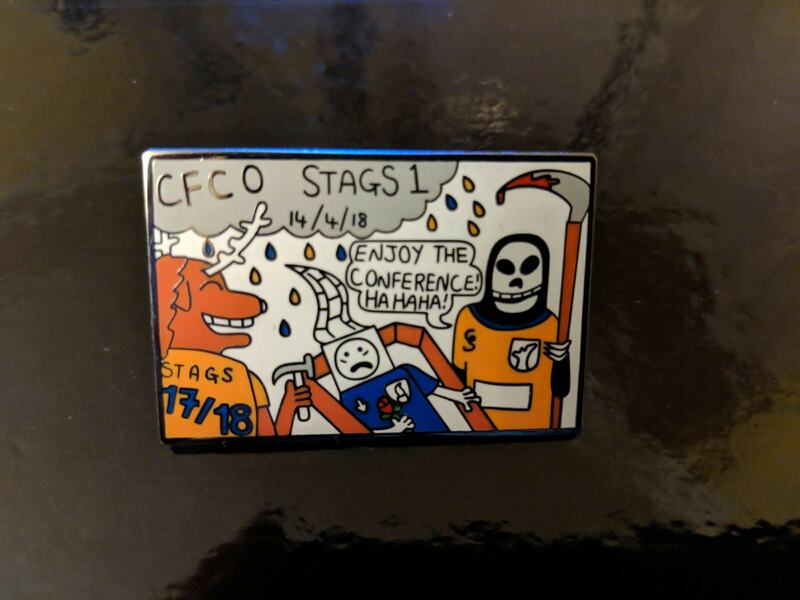 The second is a fun badge SSA have been continually asked for since the end of last season by Stags fans which has been brilliantly drawn and designed by Stags fan and Fanzine Editor/Cartoonist/AKA Satirical Stag Daryll McGregort! Less than 100 of each design have been made and will sell out, come and grab yours on Saturday! Funds raised from badge sales will help fund the SSA/Football In The Community Junior Stags Halloween Party!